Price includes new foam core & bonded poly wrap. We'll even re-stuff into your covers for no extra charge! Dining Seat Pad re-upholstery FROM $50 & up - includes 1” HD foam, labor and in-stock "clearance" upholstery fabric. Price includes new foam cut to your template. * add $5 for bonded poly wrap. Glue, bonded poly, zipper, Velcro and More. Drop by or give us a call for pricing. 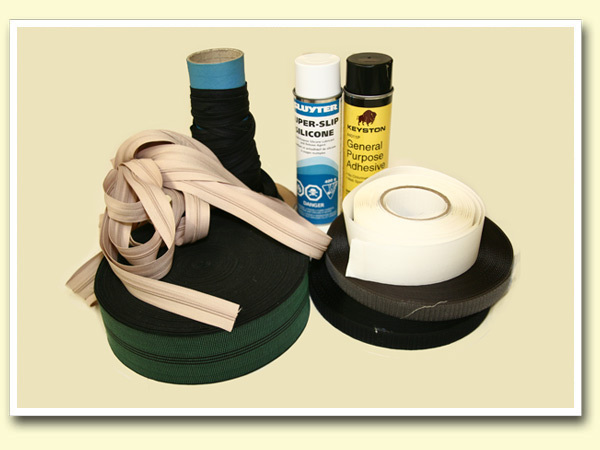 We offer many types of Misc foam products including those below. 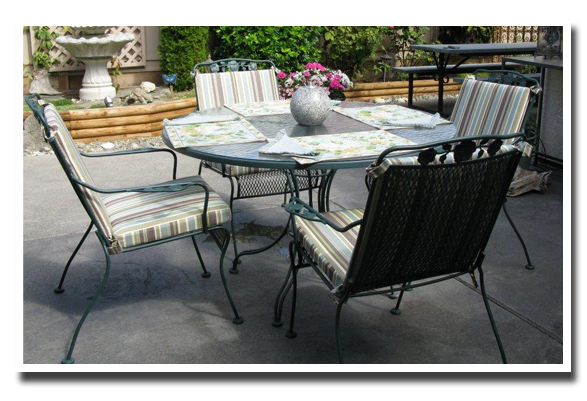 Dri-fast - reticulated foam ideal for outdoor seating as it has an anti-mildew factor to it. Acoustic foam - for controlling sound, and much more. Not sure of your needs? Come and see us! Here are some pics of the cushions you had made for us. They have given another life to our 30 year old patio set. I am thrilled with how they turned out. Your measurements were spot on. The quality foam makes them very comfortable. I am also super pleased with the cushion construction. The stripes in the back and bottom cushions match perfectly. The velcro fasteners are also in the exact right place. So thanks so much; you do great work. Front door Delivery - Courtenay thru Ladysmith from $25. Downtown Victoria from just $ 60. + tax. Call for details.